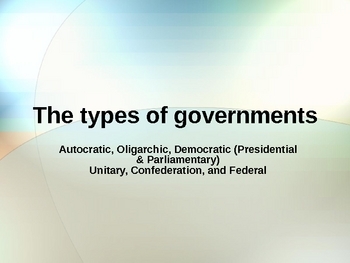 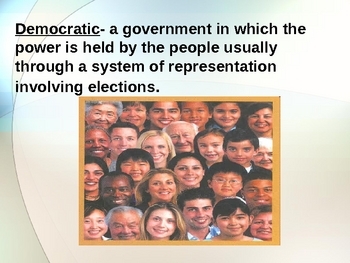 This PowerPoint presentation describes the various forms of governments. 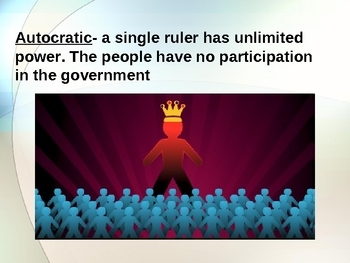 In terms of citizen participation- autocratic, oligarchic, democratic, and the two predominant forms of democracies- parliamentary and presidential. 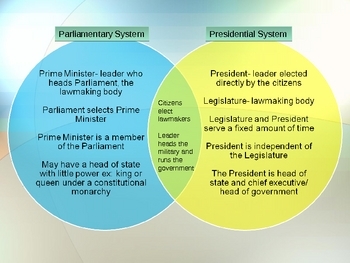 In terms of power distribution- unitary, confederation, and federal.